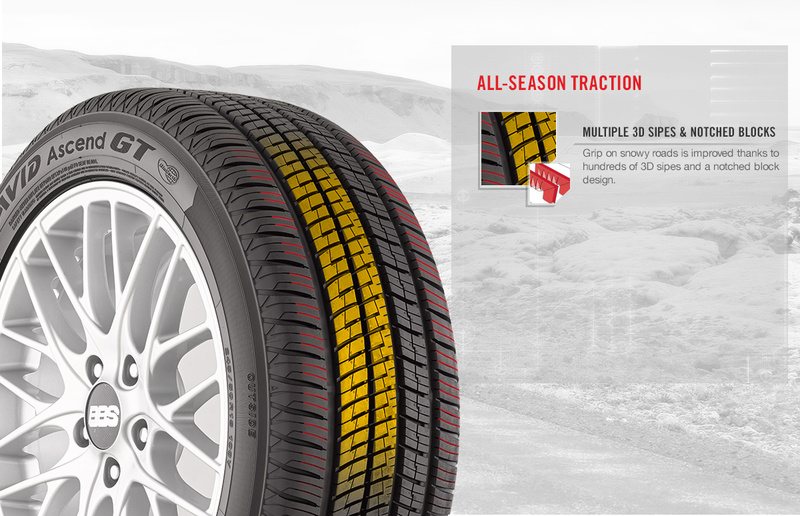 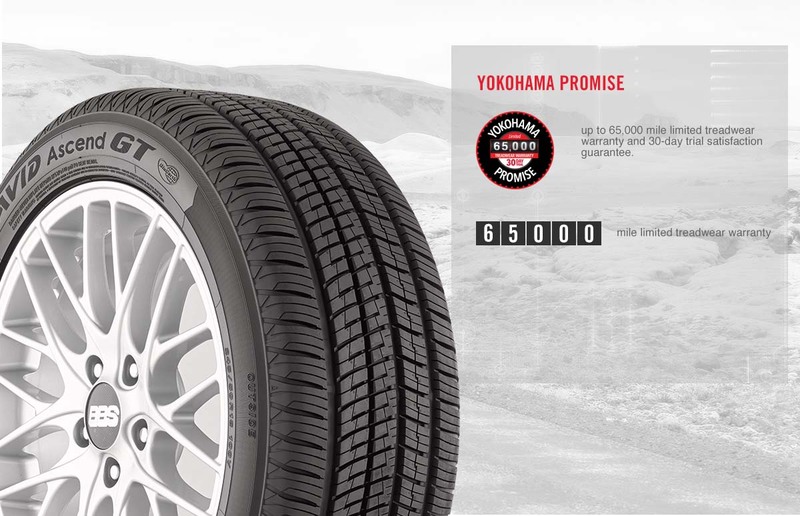 Triple 3D sipes and an ultra-square contact patch produce even, long wear that retains its all-season traction over the life of the tire. 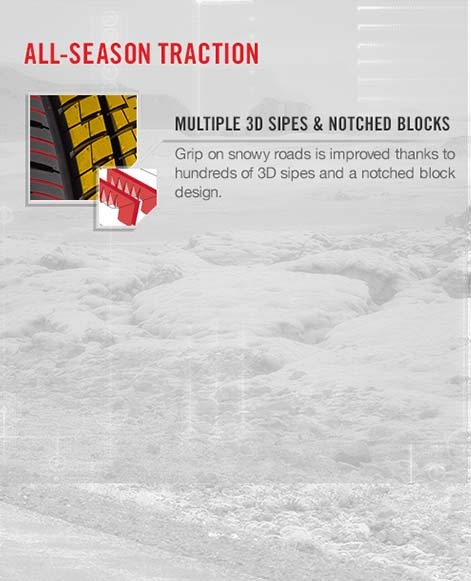 Performance matters most on snowy roads so hundreds of 3D sipes and a notched block tread design produce more grip for true all-season traction. 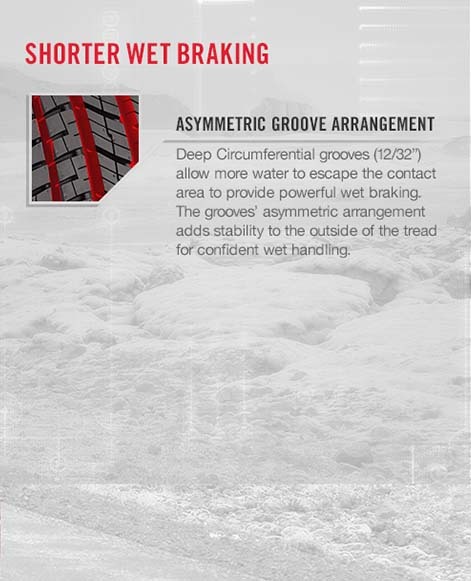 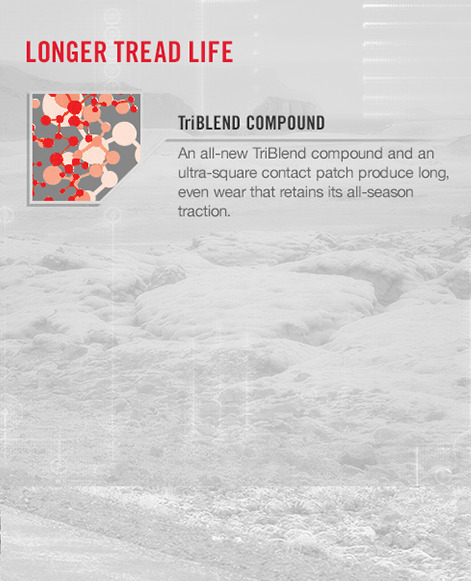 All-new TriBlend compound and an asymmetric groove arrangement that deliver extra grip on wet and snowy roads. 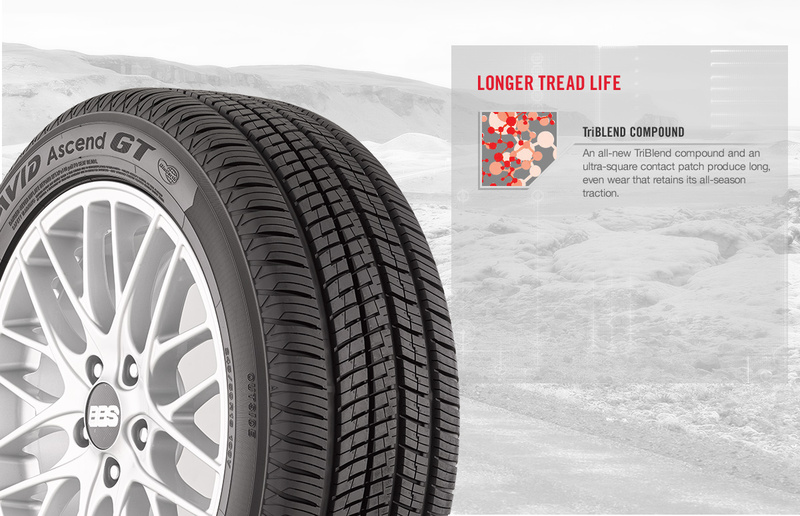 A unique multi-pitch tread design varies the size of tread blocks around the tire to reduce road noise and create a quiet, comfortable ride. Introducing the next generation of touring tires, the All-New AVID Ascend GT™. 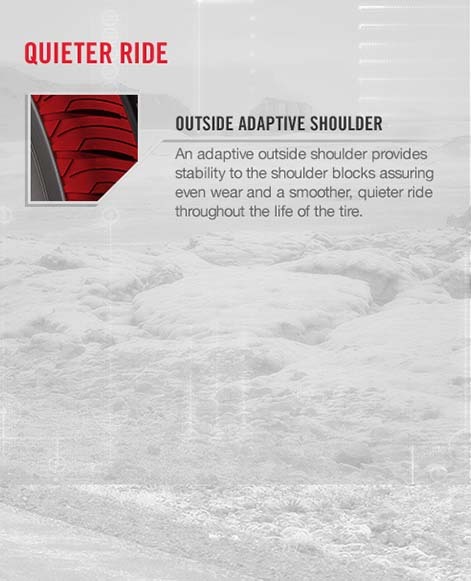 Its asymmetric tread design and all-new TriBLEND compound technology deliver extraordinary handling and ride characteristics, including powerful braking on wet and snowy roads and a remarkably quiet ride. 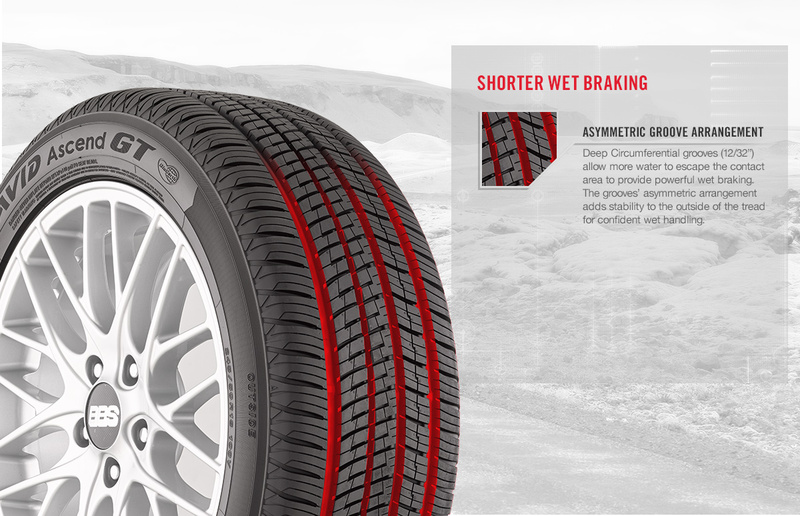 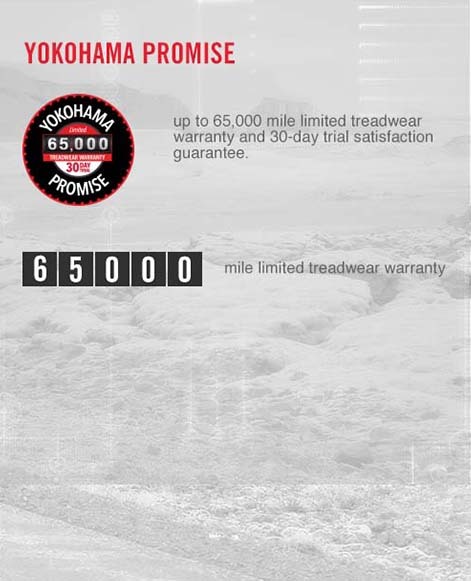 And with a 65,000 mile treadwear warranty and 30-day trial with satisfaction guaranteed, the AVID Ascend GT makes your tire buying decision easy and one you'll enjoy all year round.